What can I say that hasn’t already been said about Bridgeport? 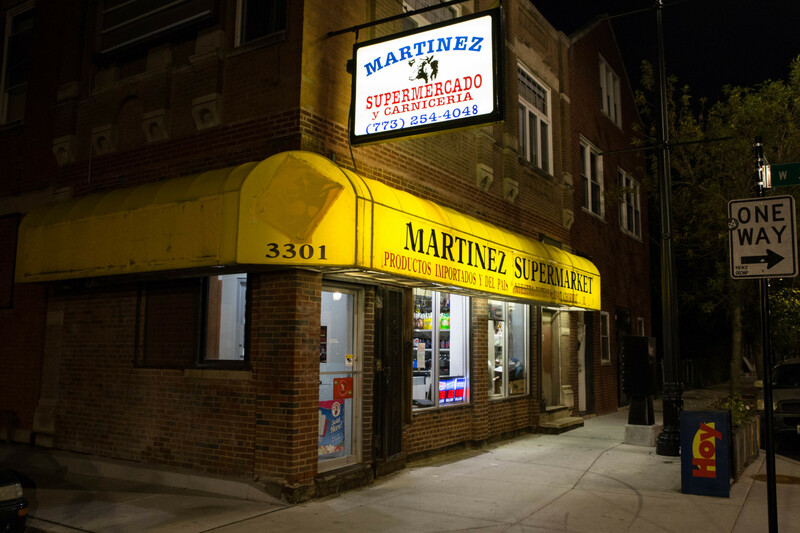 From its immigrant beginnings producing the nation’s sausages, or its dichotomy of old-school born-here, die-here types rubbing shoulders with the constant tide of artisans and students floating around, it’s the most Chicago neighborhood. Bridgeport has sordid histories; it has promising futures. My business partner, Owen Lloyd, and I opened Blue City Cycles here in 2009, shortly after the economic crash. We figured that if we could make it in a recession, we’d be fine. [Multi-location bike shop] Kozy’s also got their start in the area, which indicated to us that the neighborhood could support a small shop. Eight years later, we’re still here, so I guess that means that we made it. Bridgeport is secretly quite diverse; people of many ethnicities, classes, and ages mix here, which is one of my favorite facets of the area. I know a lot of our customers come from the surrounding neighborhoods too—South Loop, Bronzeville, Back of the Yards, Canaryville, Englewood—which does make it feel like the “community of the future” some days. Every year brings positive changes to the neighborhood: new businesses open, streets get makeovers, old buildings get facelifts and new tenants. The pace of change sometimes feels slow compared with other neighborhoods, but I think that means our growth is more deliberate, more sustainable. 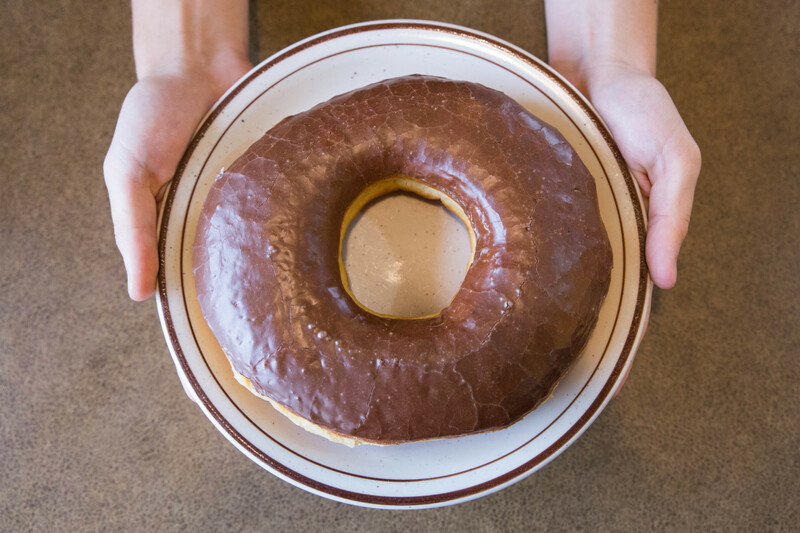 We are a Starbucks-free zone, too, which feels like a badge of honor. It’s really nice to be a cog in a community like this one. We keep Bridgeport on its wheels, rubber side down, so people can get to work, or school, or the lakefront. The relationships we’ve built with our regulars are also a nice perk of our years in business: watching the annoying teenagers grow up and go to school and turn into adults; selling the baby seat for dad’s bike, then seeing the kid get their own bike a few years later; helping an occasional commuter start riding all year long; knowing a customer’s taste and style, and maybe having the hot pink tires on hand just in case they need an upgrade. I’m happy that Bridgeport likes us and supports us, and we’re happy to be part of the community. Clare Knipper is the co-owner of Blue City Cycles, a full-service bike shop located at 3201 S. Halsted St.
Chicago started as a maritime city. Once America’s busiest seaport, it has hosted warships and passenger ships that sailed across the great expanse of Lake Michigan to southwest Michigan and is linked to both the St. Lawrence Seaway and the Mississippi River. As Midwestern as it is, Chicago connects to both the north Atlantic Ocean and the Gulf of Mexico. 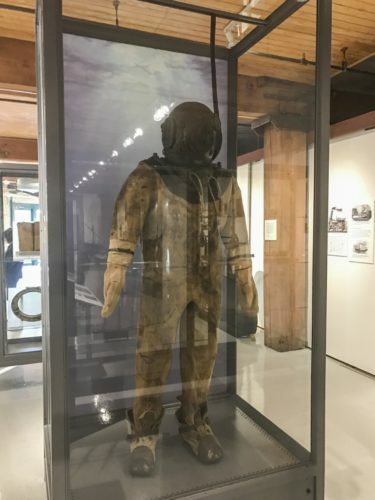 The city’s rich nautical history, going back to its incipient days as a canoe-clogged trading post, has been preserved in the basement of the brick-clad Bridgeport Art Center on the Bubbly Creek branch of the Chicago River. The Chicago Maritime Museum preserves a bygone history where the city’s once-plentiful docks and wharves were filled with schooners, steamships, and barges hauling lumber, grain, and other cargo. Visitors embark on a captivating voyage that includes vintage dive suits, impeccably detailed ship replicas, and black-and-white photographs of bygone vessels like the SS Christopher Columbus and the SS Harvester. One can learn about the Chicago River’s metal drawbridges, the Port of Chicago that still putters along today, and the tragic wreck of the SS Eastland passenger ship that killed 844 when it capsized en route to a company picnic in Michigan City. There’s a wealth of information about historic lighthouses, and about the military training that took place at Navy Pier before it became an uber-commercialized tourist mecca that natives love to mock. 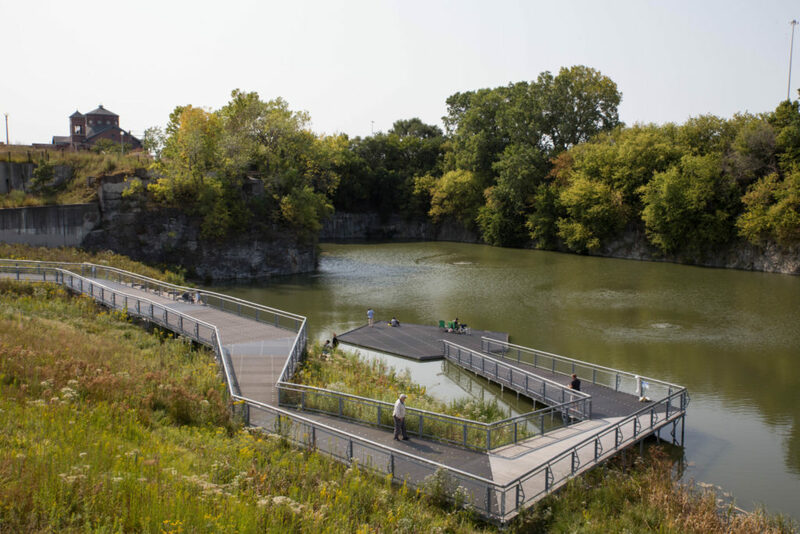 Two decades ago, Eden Place Nature Center was an empty lot. Today, it overflows with life, from weathered buckthorns to gentle creeks. 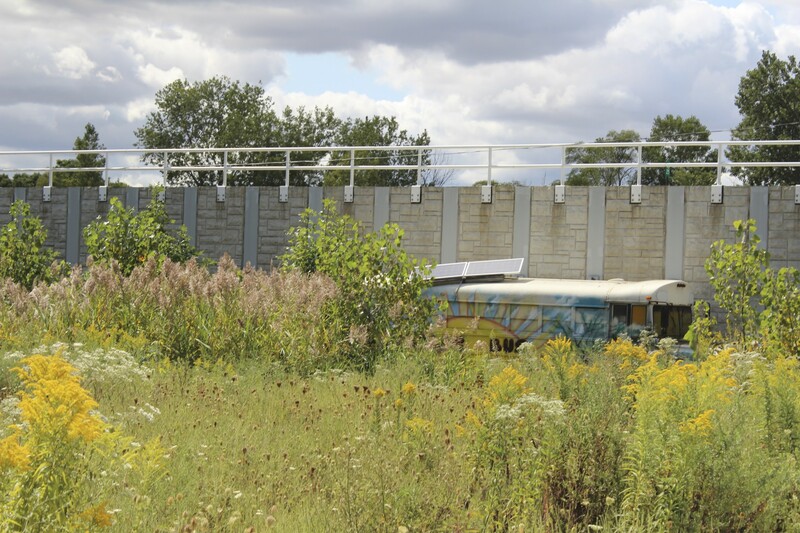 For schoolchildren and adults alike, it’s the wild writ small: a riparian patch in one corner, prairie grasses in the next, all bordered by train tracks to the west and a chain-link fence to the east. Benote Evans, a community activist and urban farmer, has worked at the site for eight years, “weeding, mulching, taking out trees, putting in trees.” When I visited the park on a sunny afternoon, he walked me through a tallgrass thicket and told me how a single horticulture class had steered him from “the wrong path” toward a passion for bringing nature to poor and disenfranchised communities. Evans now has a TreeKeepers badge and an urban farming certificate, but what stands out is his vision for better living through agriculture. “If you can eat something you grow, it should help you feel a little bit different about yourself,” as he put it.